In this skaldic performance, Norwegian composer and musician Einar Selvik takes us on a musical journey outside the massive soundscape of his traditional Viking music project Wardruna and into a simpler and more direct form where voice, poetry, and instruments like Kravik-lyre, Tagelharpe, and Bukkehorn lead the way. Einar will demonstrate a selection of these oldest Nordic instruments and perform fully acoustic Wardruna songs. He will speak about his approach and study of Norse traditions and historical music as well as the extensive creative concept behind his own creations. 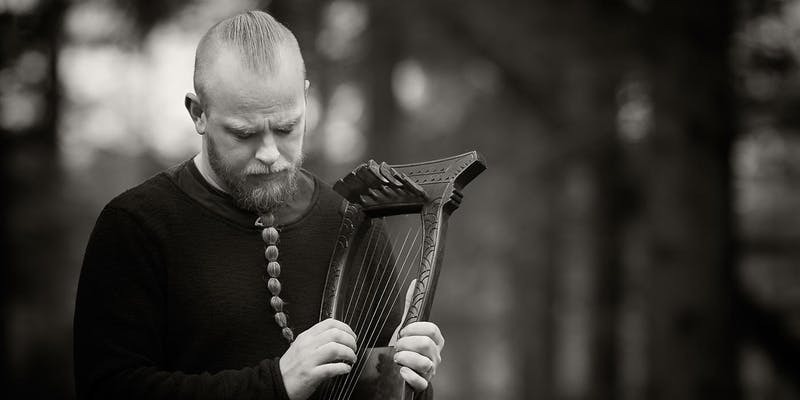 Einar Selvik is a Norwegian composer and the main musician and founder of the Norwegian musical constellation Wardruna, a project dedicated to creating musical renditions of different Norse cultural and esoteric traditions. Using traditional Nordic instruments, poetry, and poetic meter in a contemporary soundscape, Einar has merged the scholarly with the pop-cultural and given a new voice to old thoughts, tools, and techniques, reaching a global audience beyond the limitations of musical genres. Einar has also contributed extensively to the soundtrack for the History Channel series, Vikings. Seating for this special event will be limited, and the Museum galleries will be closed on this date.